October 16, 2011: The presentations have been added. 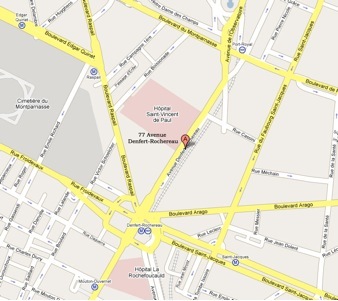 September 25, 2011: The meeting is at "Salle de l'Atelier". The presence and distribution of water in asteroids is relevant to the origin and evolution of these objects, of our Solar System, and even of Earth's own water. Water in asteroids has been detected in the form of hydrated minerals and recently as surface ice. The study of water and hydrated minerals in meteorites is equally exciting and relevant. This focused workshop will bring together the astronomical and meteoritic communities in a forum conducive to fruitful interactions. There have been important recent developments in this topic. The tantalizing indication of water ice surviving in the Themis asteroid family (as suggested by the cometary activity observed in two asteroids belonging to this family) has been confirmed by the detection of surface ice on asteroid 24 Themis by two independent groups (Campins et al. 2010, Rivkin and Emery 2010). In addition, water ice and organics have been reported on a second asteroid, 65 Cybele (Licandro et al. 2011). The presence of ice on these two asteroids, particularly over a significant fraction of their surfaces, is puzzling because of the short lifetime for exposed water ice at these heliocentric distances (~3.2 and 3.4 AU, respectively). Nevertheless, there are several possible sources for this unstable ice and identifying them is likely to be diagnostic of important processes on primitive asteroids. Can the presence of water and organic molecules on asteroids help us identify the parent bodies of water-rich and organic-rich meteorites? How can the study of water and organics in meteorites and asteroids help constrain models of Solar System formation and of the origin of Earth's water? 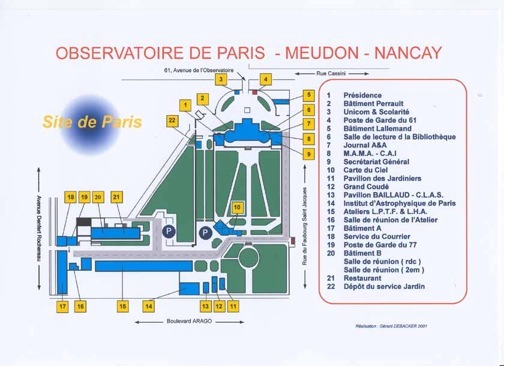 This two-day workshop will take place at the Paris Observatory downtown (77 Avenue Denfert-Rochereau, Paris 14) on the 29th and 30th of September, 2011. These are the Thursday and Friday before the EPSC-DPS Joint Meeting in Nantes, so it would be a convenient stop on your way there. Our workshop will consist of a series of short invited presentations (15 -30 minutes), followed by long discussion sessions. The Preliminary Program for this meeting is already available here. The abstract sould be a few hundred words, DPS or LPSC formats are acceptable in MS-Word or pdf format, one or two figures are allowed. Scientific Program: Please contact Humberto Campins. Local Organization: Please contact Marcello Fulchignoni.